The UNIPER power plant, Maasvlakte (MPP3) is located adjacent to Rotterdam harbour on the North Sea coast and has a capacity of 1100 MW netto. The Power Plant utilises seawater for cooling of the condenser during the energy generating process. 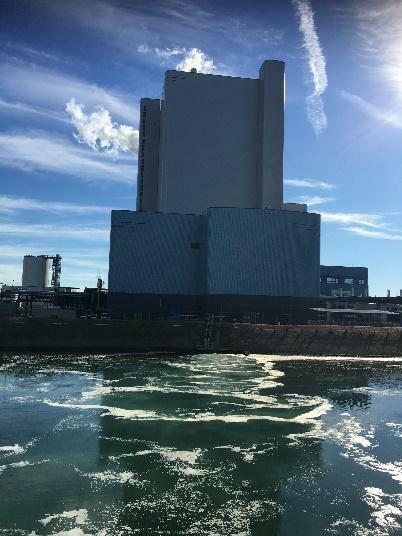 The seawater is extracted from the Europahaven and discharges the warmed seawater into an exhaust basin that flows out through the joint outlet (block dam) in the Princess Margriethaven. UNIPER uses bulk sodium hypochlorite to control biofouling and has tailored the chlorine dosing regime based on local requirements, (Ecodosing principle). This type of dosing regime has proven highly effective in this location in the past 19 years. With the seawater, mussels, oysters, barnacles and bacteria enter the intake (cooling) water system. A cooling water system provides favourable conditions for the settlement and growth of these and other organisms. This macro biofouling has a significant impact on hydraulics and generally results in operational problems and associated high costs. Biofouling settlement in cooling water pipes will result in loss of pump capacity due to increased wall roughness. This will easily result in loss in MWe production capacity and therefore loss of income. To maintain reliable and efficient operation of seawater cooling system, UNIPER doses sodium hypochlorite to prevent biofouling organisms from settling and growing. Since the cooling water system is closed to visual inspection during normal operation, it’s important for operators to have an early warning feedback in case of biofouling settlement occurs to prevent operational problems and maintain a high thermal efficiency of the plant. 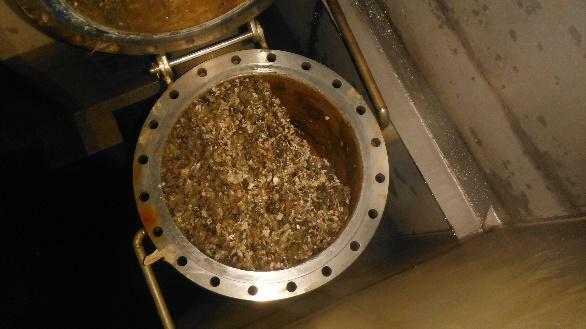 H2O Biofouling Solutions (H2O BFS) offered UNIPER a biofouling control service package to guarantee an effective dosing regime by providing the operators a tool to achieve real time insight into the efficiency of the applied dosing regime. The service consists of installation of biofouling monitors (Biovision) and periodically chlorine monitoring at critical points by an expert of H2O BFS. The monitors are installed at the inlet to the condensers at each unit and monitor any risk of biofouling build-up in the cooling water system. During the biofouling season an expert of H2O BFS measures the chlorine concentrations at the different points in the cooling water system to check the accuracy of the applied chlorine dosing regime. In addition, the residual chlorine discharge levels are measured to check compliance to the discharge permit level. 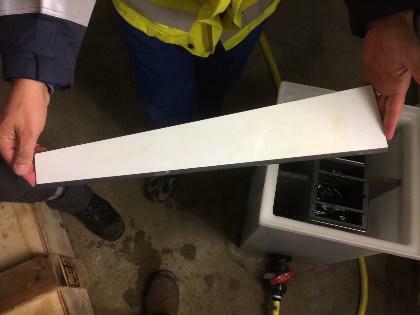 The biofouling monitors proved to be a beneficial tool for UNIPER to have real time insight into any risk of biofouling build-up in the cooling water system. Due to the specific design of H2O Biofouling monitors (mimicking a range of velocities and turbulences) they proved to give early warning of any potential build-up at the different points in the cooling water system (from inlet to outfall). 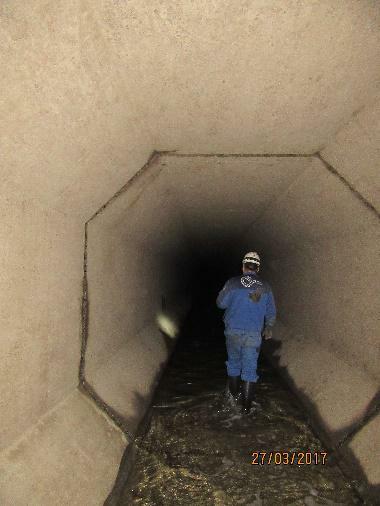 The periodically chlorine monitoring and the installation of the biofouling monitors helped to achieve reliable operation of the cooling water system and saved O&M costs. 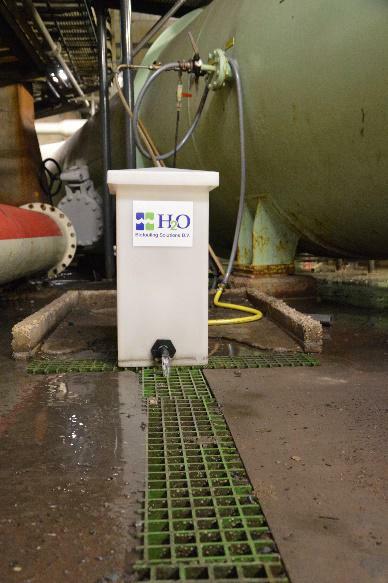 During a recent inspection carried out by H2O BFS and UNIPER the cooling water system proved to be completely free of macro and micro biofouling. Only in some minor locations where no seawater flows (e.g. manholes) were some shells were found, this confirmed the visual observations of the biofouling coupons of the Biovision monitor. For the plant performance it is of vital importance that the cooling water systems and condenser stays 100% clean. Chemical treatment is allowed in the Netherlands however only under strict rules and with strict emission limits towards surface waters. In collaboration with H2O Biofouling Solutions, UNIPER succeeds to keep this systems clean with minimal possible chemicals usage. Herewith the biofouling control service package of H2O BFS proves to be an effective and cost-efficient approach in biofouling control of cooling water systems.